Check Rates & Availability at Aston Waikoloa Colony Villas! *** Luxurious Resort Lifestyle *** The Waikoloa Colony Villas are home to a luxurious lifestyle. Featuring 1- 2- and 3-Bedroom Villas with fully equipped gourmet kitchens- adjacent to the 15th fairway of the Waikoloa Resort Beach Course. Guests can enjoy the recreational facilities- tennis courts- fitness center- pools and jet spa. All Villas offer upscale designer inspired furnishings with exceedingly spacious and furnished lanais. Resort living with vaulted ceilings-sunken living rooms- granite kitchen countertops. Golfers will envy our location near two of Hawaiis most famous links - The Robert Trent Jones Beach Course and Arnold Palmer Kings Course- with eight other courses within 5 miles of the resort. Preferential rates and tee times can be arranged for our guests. After the game guests can unwind in our swimming pool and jet spa. Complimentary tennis and our fitness center are also available. Also theres the convenience of nearby shopping at the Waikoloa Beach Resort Kings and Queens Shops offering an array of one-of-a-kind boutiques and high-end shops. Fine resort dining as well as family-friendly restaurants are all nearby. --- HAWAII-S NON-SMOKING LAW --- In the interest of the good health of all our guests - employees and owners- and in compliance with the State Law Act 295- ALL Aston Hotels and Resorts and condominium units managed by Aston Hotels and Resorts are now designated as Non-Smoking Accommodations effective immediately. . 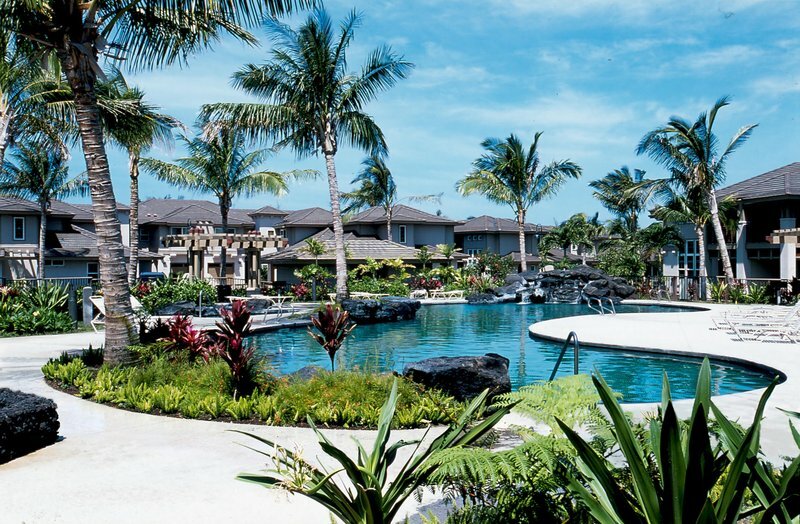 The Waikoloa Colony Villas are home to a luxurious lifestyle. Featuring 1- 2- and 3-Bedroom Villas with fully equipped gourmet kitchens- this resort is adjacent to the 15th fairway of the Waikoloa Resort Beach Course. Guests enjoy the recreational facilities- tennis courts- fitness center- pools and jet spa. All Villas include a fully equipped gourmet kitchen with microwave so guests can enjoy *at home* convenience. Many restaurants are located in the nearby Kings and Queens Shops with many fine dining choices.